For baby boomers and seniors, there are more options than ever before when it comes to retirement living. Senior living communities today offer maintenance-free homes, cottages, and apartments that allow you to retain your independence and privacy while also gaining services and amenities that promote wellness, relaxation, and fun. No longer want to cook? Find a community that offers daily dining services. No longer want to worry about security and upkeep of the house while you travel? A community offering home maintenance services and 24/7 security solves that. Want to golf, go for a swim, or maybe try your hand at pottery or painting? All of those options—and more—can be part of community living, too. Don’t miss asking the important questions when you tour! Download a list of questions to ask every independent living community. There are many options in independent living communities, from the choice in accommodations to the price ranges to the various amenities. Also, each community often develops its own unique culture based on the residents and their interests. Just like every neighborhood has its own identity, so do senior living communities. Find the community that fits you and allows you to enjoy what retirement is truly about—a celebration, a reward for all those years of hard work, a time to indulge in all the things you love to do. Try not to make a hasty decision. Take time to research and review all information. Ask for references and get opinions from family and friends, but ultimately, remember it should be a decision based on what you want. Trust your feelings and reactions when visiting a community and talking with residents and staff. Do not sign any contract until you thoroughly understand pricing and have reviewed the contract in detail. 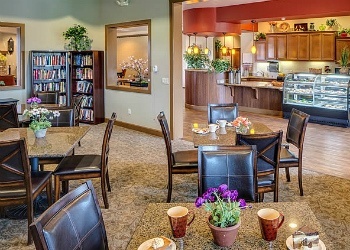 We invite you to come tour an Eskaton senior living community! Eskaton is Northern California’s largest nonprofit community-based organization serving seniors. With four decades of experience, Eskaton’s vision is to transform the aging experience. To schedule a tour of an Eskaton senior living community, call us today at (888) 684-6554 or contact an Eskaton community directly online.